Two years on from its inception and ADRIFT by award-winning chef and restaurateur David Myers is going from strength to strength. 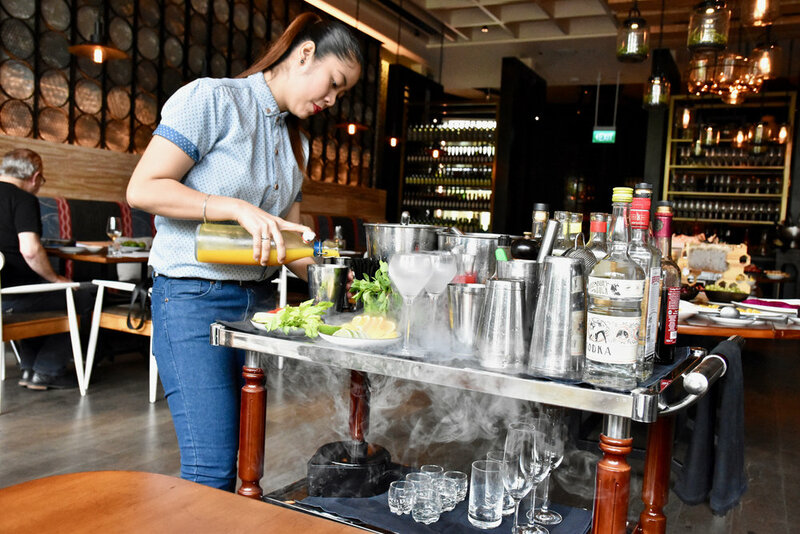 Myers' first foray into Singapore, ADRIFT is located in the atrium of Marina Bay Sands and is inspired by Myers’ wanderlust outlook. The restaurant is a bespoke urban kaleidoscope anchored by the places, faces and flavours of his path, from California to Asia. Gastrology recently enjoyed ADRIFT's Weekend Brunch which runs from 12-3pm over the weekends. Weekend brunch at ADRIFT is a fresh and innovative rework of traditional brunch dishes. Guests can enjoy table-side offerings of small plate specials with a choice of a cooked-to-order main course and a buffet spread of chilled seafood and condiments, market fresh fruits, salads, cured meats, a selection of artisan cheeses and charcuterie, house-made sweets and savoury breads. Pairing a nostalgic spirit with a modern aesthetic, the restaurant is curated to the very last detail by Myers - certainly a personal ode to the vibrant experiences he has encountered on his many travels, a colourful food culture mashup from both sides of the Pacific, a merging of old and new. 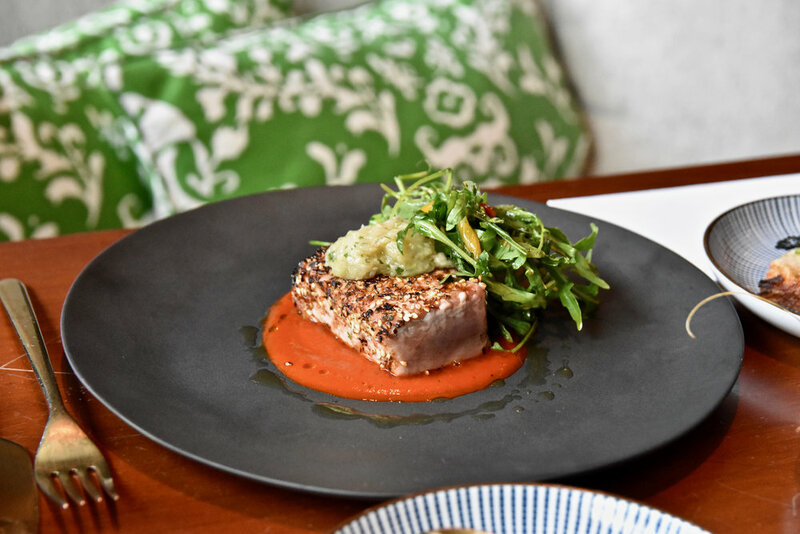 Led by Executive Chef William Gumport , the menu at ADRIFT blends playful snacks with raw items, and artisanal toasts with charcoal-grilled treats in a whimsical approach to East-meets-West. 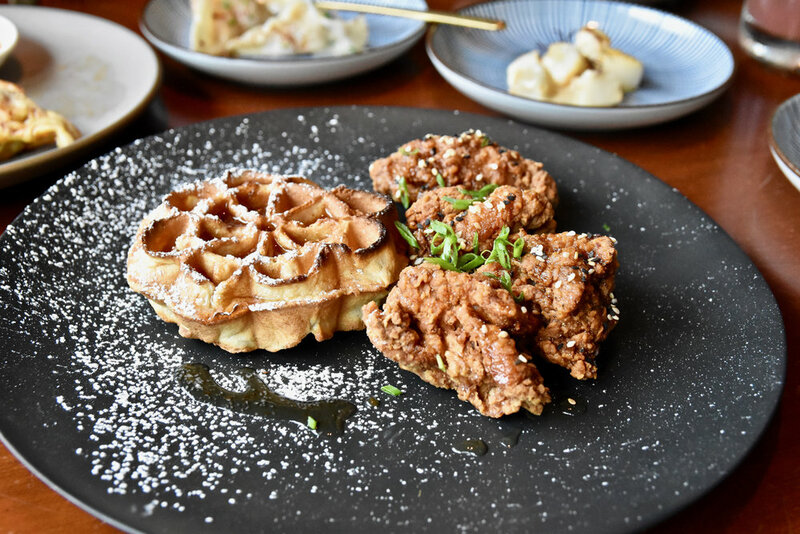 The brunch mains feature cheeky nods to American classics in the form of Crispy Chicken and Sweet Potato Waffle topped with maple-umeboshi syrup and Adrift Benedict made with grilled rice cakes, onsen egg, bacon and miso hollandaise. 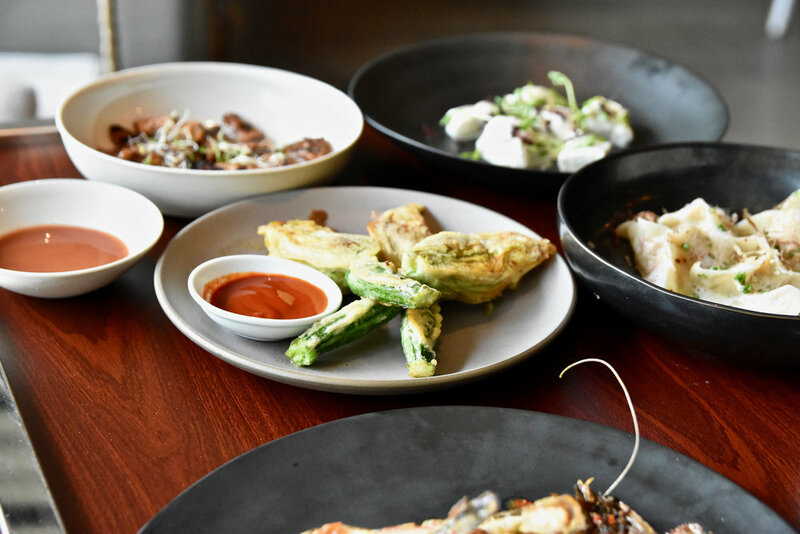 Many of the table-side offerings of small plate specials, meant for sharing, feature interpretations of Myers’ most beloved dishes from his travels throughout Asia. The beverages match the East-meets-West approach, with refreshing aperitifs like the Pimms Imperial with Pimms No 1, lemon, champagne and local market fruits to reinvented classics such as the Singapore Sling, which interprets the famed drink with both aged and dark rum, benedictine, maraschino liqueur, and orange bitters. ADRIFT's brunch offering is perfect for guests looking to be inspired and recharged, or to linger over conversations over a lazy weekend brunch. Phone: +65 6688 5657 or +65 6688 5658.